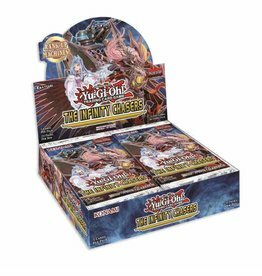 The Infinity Chasers Booster Box Yu-Gi-Oh! Savage Strike Booster Box Yu-Gi-Oh! Hidden Summoners Booster Box Yu-Gi-Oh! Legendary Duelists Sisters of the Rose Booster Box Yu-Gi-Oh! Rising Rampage Booster Box Yu-Gi-Oh! Yu-Gi-Oh! Speed Duel 2 Attack From the Deep Booster Box Yu-Gi-Oh! Speed Duel 2 Attack From the Deep Booster Box Yu-Gi-Oh!